Here's a few dieting tips for successful weight loss. No matter who you are, it can be very difficult to Lose Weight. However, there are five very easy things that you can do which will help you lose weight quick. Whether you want to lose a little bit of weight or a lot of weight, you will want to think about implementing these five important tips. The first thing that you will want to do is start a food journal. Record everything that you eat and drink throughout the day. You will also probably want to keep track of grams of fat, calories and maybe even sodium in your food journal. Sometimes, people consume so much food that they do not even realize it. It is also a good idea to keep track of your moods when you eat certain foods, so that you can figure out if your emotions are causing you to splurge. Until you know exactly what you are doing wrong, there is no way you will be able to change it. Soda is often referred to as empty calories. The reason is because soda is very high in calories, but unlike food, it leaves your stomach feeling "empty." It is best to save your calories for food that you will benefit from, rather than this drink that you may not even really care for all that much. Instead, replace soda with water, flavored water or low-sugar, low-calorie options, such as Crystal Light. You'd probably be surprised at how many calories you may be drinking a day just from soda. It is important to reduce the amount of starches in your diet or even eliminate them completely. White breads, pastas and rice are the first thing that you will want to stop eating if you really want to Lose Weight. Switch to whole grains and brown rice. You will also want to give up potatoes and various other types of complex carbohydrates. Keep in mind that making this switch can seem pretty dramatic at first, but after some time, you probably will not even want to have starches anymore. Consider buying compartment paper plates, which resemble school lunchroom trays. The reason that you will want to do this is so that you can have a better understanding of portion control, which can play a major role in weight loss. In the two medium sized compartments, you will want to put a lean meat such as chicken or turkey and a whole grain, such as brown rice. Put another healthy vegetable in the smallest compartment. This is one of the best ways to limit how much you eat. If you cannot find a compartment plate, consider just opting for salad dishes instead of regular dishes. 5. 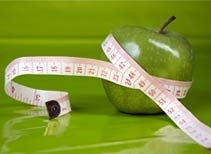 Have a "Healthier Lifestyle Attitude"
Too often, when people try to Lose Weight, all that they worry about is dieting. However, there is so much more than dieting which is needed in order to loose weight in the long run. You have to have a "healthier lifestyle attitude." Instead of worrying about which fad diet you are going to go on next, why not worry about changing your lifestyle? Come up with a regular exercise routine and try to find ways to eat healthier on a long-term basis. This will help you lose weight and keep the weight off. These are just five of the very easy things that you can do to lose weight. If you have found that fad diets do not work for you, then you will definitely want to try these five things. You will probably find them to be very effective in your efforts to lose weight. Berries are great for your diet! When added to your regular diet, berries are known to be very healthy. You may be wondering just how healthy they really are, however. Here are some of the most popular types of berries and the different health benefits that you can take advantage of when you choose to incorporate them into your regular diet. Some people consider blueberries to be the healthiest berry that there is. While this is debatable, blueberries are definitely known to offer some major health benefits. When you choose to eat blueberries, you will be consuming a high amount of antioxidants, which means that you may be able to ward off both heart disease and cancer. Blueberries are also known to help improve vision and may take care of urinary tract infections. Strawberries are well known for containing a higher amount of Vitamin C than oranges. Because they do contain such high levels of Vitamin C, along with other nutrients, these berries are known to boost the immune system. Due to the high levels of antioxidants that they contain, strawberries are known to prevent heart disease and cancer. They are also believed to offer protection from rheumatoid arthritis and may help improve vision. There are many health benefits which are associated with cranberries. The berry is known to inhibit the growth of bacteria which may cause stomach ulcers, gum disease and urinary tract infections. Cranberries are also believed to fight against cancer and heart disease. Some people that cranberries can help promote weight loss. Raspberries are known to contain a high amount of fiber, as well as a high amount of insoluble fiber pectin, which is known to help reduce cholesterol levels. Additionally, since raspberries are known to contain very high amounts of antioxidants, it is believed that they can provide a good deal of protection against heart disease and cancer. Like blueberries, raspberries are known to improve vision. Blackberries are known to be a very good source of fiber. Since, like most berries, they contain a high level of antioxidants, blackberries can help fight against heart disease and cancer. Like cranberries, fresh blackberries are known to inhibit bacteria which may cause stomach ulcers, urinary tract infections and gum disease. Blackberries are also believed to offer anti-inflammatory properties. Although pomegranate is rarely thought of as a berry, its features make it one, as it contains seeds and has an outer layer. Often, pomegranate is regarded as the "wonder fruit," because it is known to offer so many different health benefits. Some of these health benefits include anti-inflammatory properties, protection against heart disease and cancer, reduction of stress and promotion of weight loss - to name just a few. According to the new dietary guidelines from the USDA and the US Health Department, Americans should be eating vegetables and fruits by as much as 5 to 9 servings daily. It may sound too much but really, you can easily incorporate the recommended lot of vegetables and fruits in your daily food plan. Before you get intimidated with the suggested number of servings, however, first know the serving size. Then you will realize that it's easy to consume the recommended amount of vegetables and fruits. The new food pyramid suggests a daily intake of 3 to 5 servings of vegetables where one serving can be one cup of raw leafy vegetables (remember your salad), or a half a cup of other vegetables, raw or cooked (think of your stew), or three-quarters cup of vegetable juice (dont you love carrot juice). The food pyramid also suggests 2 to 4 servings of fruits each day. One serving can be one medium size apple, banana or orange, or a half cup of chopped, canned or cooked fruits or three-quarters cup fruit juice. Take note that the fruit juice should be 100% fruit juice and not the commercial bottled juices that are loaded with sugar. Vegetables and Fruits: The Best Sources of Nutrition. The best sources of nutrients your body needs are fruits and vegetables. Take away the boredom from eating the same stuff everyday. Keep your meals interesting by varying the vegetables and fruits you serve to your family at the dinner table. If you have always relied on meat for your entrée, you can now plan your menu to include a vegetable main dish and merely add other types of food to complement it. Fresh vegetables and fruits are readily available in grocery stores and supermarkets. Buying those makes sense since they are inexpensive yet are the most nutritious and healthiest foods you can find around. When you go food shopping, buy more fruits and vegetables than meat products. Then its only a matter of adding them into your regular meals. Toss a salad, increase the veggies in your stew or casserole, and serve fruits for breakfast, dessert or snacks. When you go to the supermarket, do put in your cart fruits and vegetables of different colors. Your dishes will look more appetizing if they include colorful fruits and vegetables. Other than the visual appeal, vegetables and fruits in various colors provide you with the much needed nutrients for your daily activities. The different colors of vegetables and fruits are caused by natural plant pigments and each color indicates the nutrient content. For example, from the reds like tomatoes and watermelon, you get lycopene. Those in the yellow/orange group such as pumpkins and carrots have beta-carotene while the leafy greens, peas and the like contain lutein. Grapes, blueberries, eggplants, etc. belong to the blue/purple group that gives you anthocyanin. Another way to get you and your family eating more fruits and vegetables daily is to test new recipes. You can find many great recipes online, in cookbooks, magazines and newspapers. If you have always been getting your vegetables only through salad, try grilling them. How about having a veggie sauce for your pasta or an all-vegetables pizza? Sometimes, those fruits or vegetables you hated as a kid can become palatable when cooked and presented in a new way. By experimenting with new recipes, you can also include the fruits and vegetables you havent tried yet. Apples, oranges, grapes are very common. Sample the more luscious mangoes or kiwi fruit. If your idea of greens is limited to lettuce, try kale or spinach. Finding and tasting new food can be exciting while trying to get the most in terms of nutrition. Why Take Vitamins and Supplements when Vegetables and Fruits are Much Better? There is a common misconception that the recommended daily intake of vegetables and fruits is not necessary and that all you need is to pop in a vitamin supplement. Unfortunately, this is not true. Natural vegetables and fruits contain more micronutrients than what had been identified by scientists and re-produced in those vitamin pills. The human body requires more than the popular vitamins and minerals synthesized in supplements. The body also needs the hundreds of other natural elements that can only be obtained from the real fruits and vegetables and which no science can ever replicate. Moreover, vitamin pills are more expensive than vegetables and fruits. It's best to buy locally grown produce and those that are in season. They are not only cheaper but they are also at the peak of their flavor. So by buying and eating fruits and vegetables instead of taking vitamin supplements, you get the better nutrition and realize some savings too. Do remember to eat your 5 to 9 servings of vegetables and fruits each day. Its really not difficult to work them in your daily meals and meet your nutritional goal.